Danielle has been employed in the legal field for over three years. 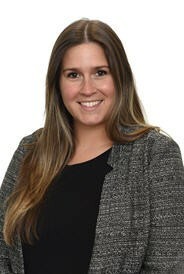 She graduated from Seneca College’s Paralegal program in August 2015 on an accelerated basis and obtained her paralegal license with the Law Society of Upper Canada in March 2016. As a paralegal, Danielle has carriage of various Small Claims Court actions, specializing in subrogation. In addition, she assists lawyers with litigation management, preparation of Affidavits of Documents, damage briefs and motion materials.